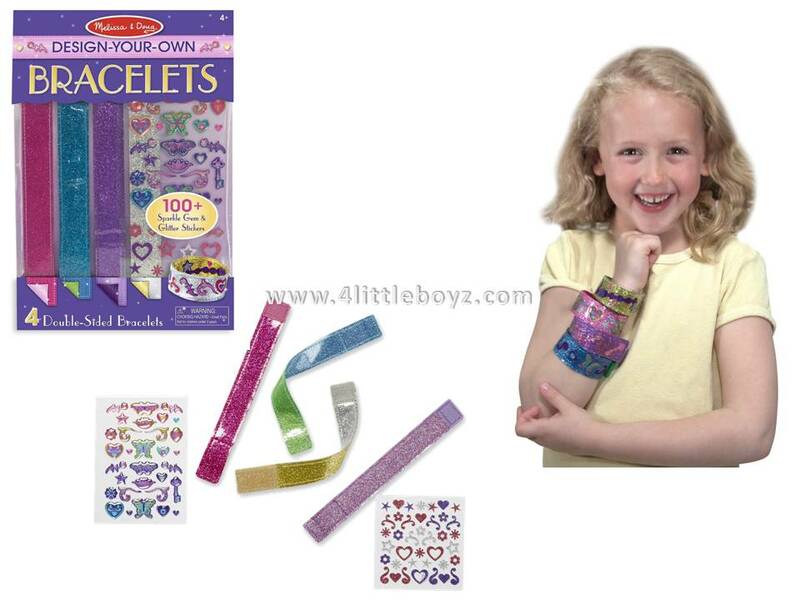 This exciting fashion activity set and bracelet craft kit lets kids make their own accessories to wear and share! 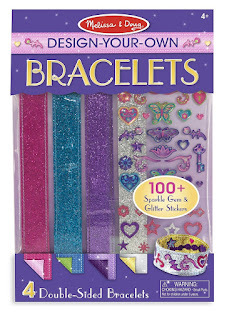 The set includes four two-sided kids' bracelets, with a different shimmering color on each side. Just add the included sparkle-gem and glitter stickers to fill each one with flowers, hearts, butterflies, stars, loops, and swirls. Make your own bracelets, then close the reusable tab closure to wear your favorite or layer a bunch for a sparkling fashion statement! 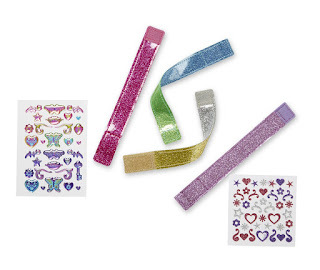 - Easy tab closure--use again and again! 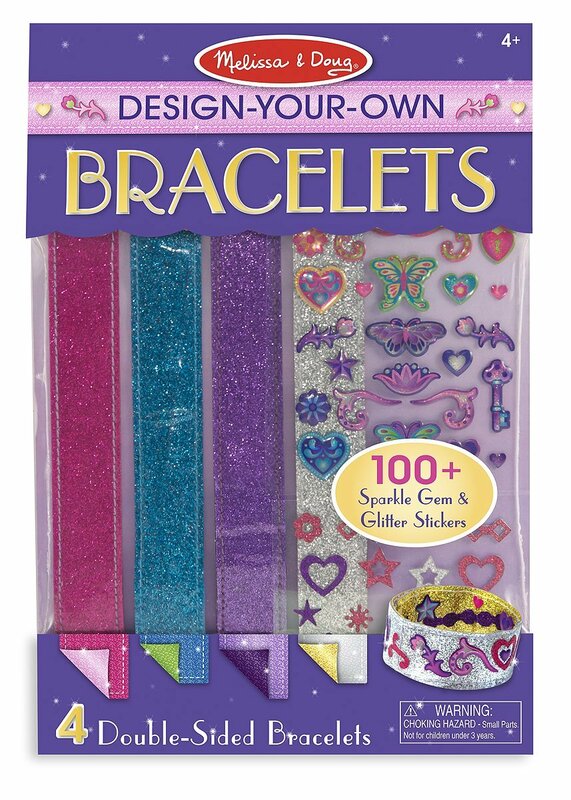 - Promotes fine motor skills and creativity.